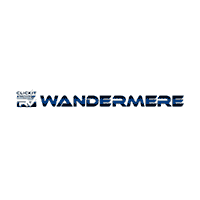 Welcome to ClickIt Auto and RV Wandermere! We’re proud to offer our customers quality vehicles at affordable prices. We’re well known for our superior customer service and strive to deliver an amazing experience for each and every one of our customers. Let ClickIt Auto and RV Wandermere show you how easy it is to buy Quality Used Cars in Spokane, WA. As a Certified Pre-Owned and RV dealership in Spokane, WA, We believe fair prices, superior service, and treating customers right leads to satisfied repeat buyers. There are many car dealerships near you, but at ClickIt Auto and RV Wandermere, we offer quality used vehicles for sale in Spokane, Post falls, Coeur d’Alene, and surrounding areas. All our vehicles are certified used vehicles in Washington and are thoroughly checked by an ASE-Certified technician, and must pass a rigorous 29-point inspection. Our simple no-haggle pricing policy makes the whole process a lot easier to buy a vehicle from our car dealers in Washington. View our online inventory of cars for sale in Spokane, WA or visit to find Quality Used Cars in Spokane, WA. We have trucks, SUVs, Vans, and motorcycles for sale in Spokane as well. Our friendly and knowledgeable sales staff is here to help you find the car you deserve, priced to fit your budget. Shop our virtual showroom of used cars, trucks and suv’s online, then stop by for a test drive. I am late with this review. I bought a 2012 Chevy Silverado 2500 last August. I am very happy with my purchase, even 7 months later. Owner is a great guy. My salesman was very young but called me on a Sunday to show me my truck. It was exactly what I was looking for. Got a great trade in price. Sealed the deal that Sunday. It's been an awesome truck so far. Thanks Click It! Ric Andrade was the best! What a great guy to talk to and laugh with! He has us rolling with laughter. And to "sweeten" the sale he offered us his saved half of a Hershey bar. Great buying experience. Wonderful people to work with! Great buying experience. Will recommend them to everyone. Be sure to ask for Ric! Tell him Kim sent ya. Andrew helped me with finding the perfect car for me and my family. He's super friendly and helpful. would definitely recommend him and this lot ! Great guys! Great vehicles! Great customer service! Clean and neat. 10/10 recommend. Awesome selection of low mileage trucks! Amazing place. Andrew was a great salesman and they will do there best to work with you! !